The preferred timing of umbilical cord clamping in preterm infants is a debatable issue. Various professional bodies recommend delayed cord clamping of more than 30 seconds, 30 to 60 seconds, at least 60 seconds, or 30 to 180 seconds. But the recent study shows that there is no major difference in delayed (clamping 60 seconds or more after delivery) vs early cord clamping (clamping within 10 seconds after delivery) in preterm babies. In the past, immediate cord clamping was normal practice in preterm infants because of fear of harm from delayed resuscitation, hypothermia, hyperbilirubinemia, or polycythemia. After that there was increasing evidence suggested that immediate clamping may be harmful to the baby. Systematic reviews of randomized, controlled trials showed that delayed cord clamping improved blood pressure and reduced the incidences of blood transfusion, intraventricular hemorrhage(IVH), necrotizing enterocolitis(NEC), and neonatal sepsis in babies born before 37 weeks of gestation. 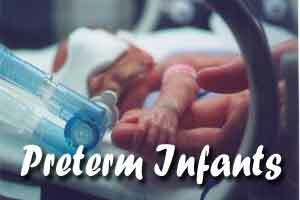 Furthermore, a systematic review of 12 randomized, controlled trials involving 531 preterm infants (<32 weeks of gestation) concluded that enhanced placental transfusion through delayed cord clamping, cord milking, or a combination of both resulted in lower mortality and lower incidences of necrotizing enterocolitis and infection than immediate clamping. Whether delayed clamping alone has benefits with respect to mortality or the incidence of neurodevelopmental disability remains unknown. Recent unblinded, randomized, controlled trial was conducted to address this issue. Out of 1634 fetuses that underwent randomization, 1566 were born alive before 30 weeks of gestation; of these, 782 were assigned to immediate cord clamping and 784 to delayed cord clamping. The primary outcome was a composite of death or major morbidity (which is defined as severe brain injury on postnatal USG, severe retinopathy of prematurity, necrotizing enterocolitis, or late-onset sepsis) by 36 weeks of postmenstrual age. There was no significant difference in the incidence of the primary outcome between infants assigned to delayed cord clamping (37.0%) vs those assigned to immediate clamping (37.2%) (relative risk, 1.00; 95% confidence interval, 0.88 to 1.13; P = 0.96). The mortality was 6.4% in the delayed cord clamping group and 9.0% in the immediate cord clamping group (P = 0.03 in unadjusted analyses; P = 0.39 after post hoc adjustment for multiple secondary outcomes). There were no significant differences between the two groups in the incidences of chronic lung disease or other major morbidities. Additional secondary outcomes of death, disability, and death or disability by 3 years are not reported here. So it can be concluded that among preterm infants, delayed cord clamping did not result in a lower incidence of the combined outcome of death or major morbidity at 36 weeks of gestation than immediate cord clamping. 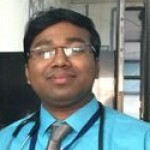 The author MBBS, DCH, MD (Pediatrician) and is RMO, Institute of Child Health Calcutta, Department of Pediatrics, Kolkata. He is a member Editorial Board, Pediatrician at Specialty Medical Dialogues.